We have received word today that EE has launched a range of next-generation plans and services on their network (which they are calling the world’s fastest network), to enable even more people to enjoy superfast 4G and Fibre broadband. From tomorrow, new and existing customers in 12 major UK cities will be able to benefit from double speed 4G. 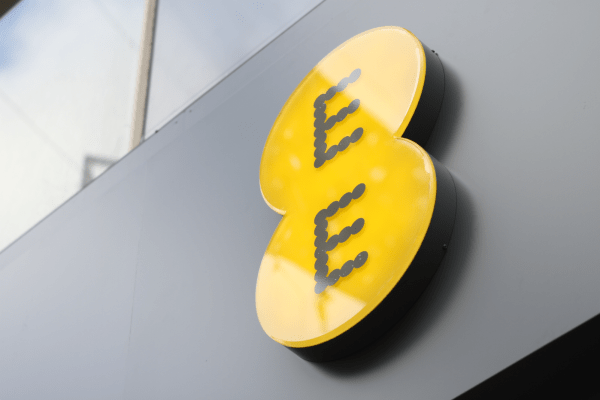 This will see EE’s network reach a theoretical maximum top speed of 150Mbps, and will double the current average speeds to 24-30Mbps, giving the UK a 4G network that’s unequalled in Europe, faster than mobile networks in the US and Japan, and equal to the best in South Korea. The double speed 4G will launch on 4th July in Birmingham, Bristol, Cardiff, Derby, Edinburgh, Glasgow, Leeds, Liverpool, London, Manchester, Nottingham and Sheffield. EE Shared 4GEE Plans allow customers to connect up to five devices to the one 4GEE plan – whether it’s with friends and family, or for their own tablets and laptops. Customers can add an existing 3G or 4G phone to their 4GEE phone plan from just £12 per month on SIM Only (from £22 per month for a new 4G phone), allowing them to receive unlimited minutes and texts on both phones, as well as access to the shared data. Alternatively customers can add an existing 4G tablet from £5 per month on SIM Only (£26 per month for a new 4G tablet) or an existing 3G or Wi-Fi enabled tablet (via a mobile Wi-Fi device) for £11 per month. An example saving for a typical family of four would be £38 a month – over £450 a year (as shown in he example table below). Devices added to a Shared 4GEE Plan will also receive great EE benefits, including 2-4-1 cinema tickets with EE Film, Clone Phone Lite, inclusive content add-ons (music, games or TV) and Fast Track Service into Customer Services. Shared 4GEE Plans for corporate, medium and small businesses will also be available. With EE’s range of Pay As You Go (PAYG) 4GEE Mobile Broadband Plans, customers can choose from a variety of great value data allowances, starting from £15 for a data SIM which comes preloaded with 2GB of mobile data for 30 days, or with the same allowance an Alcatel L800 dongle for £50 or Alcatel Y800 Mobile Wi-Fi for £70. Customers can also top up their data on any PAYG plan from just £3 for 500MB, up to a maximum of £30 for 10GB. When a customer’s data allowance runs out, they will be directed to an EE page in their web browser so that they can top up their data through buying a data add-on – preventing any unexpected run-on costs. A range of data add-ons are available so customers can choose how much data they need or how much they want to spend, meaning they are always in control. EE is also launching its first branded mobile contactless service. Cash on Tap, in partnership with MasterCard, is a quick, secure and convenient way to make payments via compatible 4GEE mobile devices (see below) and the downloadable app. The service will be accepted at over 230,000 outlets nationwide, including McDonald’s, Boots, and Greggs. EE is giving £10 credit to all eligible customers who use the service. They will receive £5 when they first activate the Cash on Tap app and then another £5 when they add any money from any UK credit or debit card for the first time. The service will be available on the following 4GEE handsets purchased from direct EE retail channels: Samsung Galaxy S4, Sony Xperia SP and Samsung Galaxy S3 LTE, with more devices to be added in the coming months. EE will launch the next iteration of its award winning Bright Box wireless router later this summer. Designed to complement its superfast Fibre network, the Bright Box 2 features the latest advanced wireless ‘AC Wi-Fi’ technology, offering an even greater wireless range and less drop-off in speed when a customer moves away from the device. ‘AC Wi-Fi’ technology features in many of the latest smartphones and tablets, including the Samsung Galaxy S4, so customers can be assured of the best connection to the superfast network at home as well as when they are out and about. EE will also be the first broadband provider in the UK to offer plug and play Fibre broadband, as the Bright Box 2 is designed to work without the requirement for an engineer house visit, allowing customers to get online as quickly as possible.